Jeroen Dijsselbloem triggered a spate of criticisms yesterday when he mentioned that the Cypriot deal was a “template” for future EU bailouts. If this is true, the Commission may one day be subject to the sort of haircut imposed on wealthy Russian mobsters Cypriot bank account holders. 1. Fines paid to the Commission in cases with subsequent appeals are provisionally held in specific deposit accounts with commercial banks and they cannot be used to finance any other EU activities. 2. In 2009, a Special report of the Court of Auditors mentioned that the volume of fines held in such account lied in the ballpark of €5 billion. 3. At the time, the Commission had accounts with Fortis, BBVA, ING Belgium, KBC, ING NL and Citibank. In a not so distant past, several of those banks were bailed out. And it cannot be excluded they’ll have to be rescued again. Interestingly, the 2009 Report warned at §47 that “this approach [i.e. leaving fines in such accounts] exposes the Commission to risk of loss in the event of banking failure. An optimum approach to better managing has not been established“. I have no information on the status of this issue, but I understand that the Commission has been working on a better approach to address such risks (notably by using banks with good credit ratings…). Yet, given the recent turn of events in Cyprus, I cannot help but thinking that one day the Commission could lose big money. Not to think to the flood of legal consequences this may have, should the General court or the Court of Justice subsequently rescind (in part or full) the fines held in the Commission’s accounts. An interesting additional angle is whether the Commission could be accused of “insider trading” if it decided to move the money from a Cypriot bank (for example) to a German bank (hypothetically). 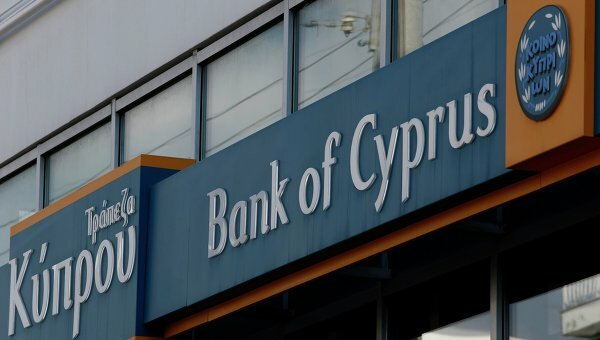 In practice, the Commission knows about the Cypriot bank’s bail out(the Commission attends the negotiations) and could avoid being subject to measures requiring depositors to “contribute” to the bail out. A possible measure to avoid this would be to accept a guarantee granted by a bank (or any other financial institution) with a minimum rating (let’s say AA) for the payment of the fine. Actually, I thought that the Commission already accepted this type of measure in exceptional cases.